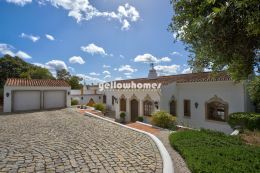 Established in 1995, Yellow Homes - Land & Houses Algarve is a well-respected and multi-lingual real estate agency based in sunny south Portugal, with a reputation for highly professional, effective and friendly service. Yellow Homes has been successfully selling property across the Algarve for over 20 years, finding the perfect property for countless buyers. With an expert understanding of an ever-changing market, plus a positive yet realistic approach, our reputation for quality service continues to attract buyers and vendors. Reflecting this, we're proud to say that almost 50% of our business comes from direct recommendations. We operate from two offices. Our Central Algarve office is ideally located, on the main N125 road just 100 metres from the new Vilamoura roundabout; whilst our Eastern Algarve office is located on the west riverbank of Tavira's charming old town. In Western Algarve we work in association with experienced, multi-lingual sales consultants to represent our property portfolio in that region. We therefore extend our reach across all the Algarve, offering an expertly selected portfolio of villas, townhouses, apartments, country homes, new resort developments and plots of land. Yellow Homes understands the importance of being able to offer buyers a concise, well-chosen selection of properties that reflects their tastes and budgets. So if you'd like to make an appointment to visit one of our offices and discuss your property requirements with one of our team, please call us on the number below. Office hours: 10am to 6pm, Monday to Friday.